Fast forward 15 years and, of course, now I'm a complete and utter "Words With Friends"-aholic! It's my favorite app on my i-Phone. I love the fact that I can play my favorite word game (albeit with Triple Word squares in a different location) with friends and family in distant parts of the country. I have been scouring the web for some ideas and there are some fabulous ones out there. Here are some of my favorites, with my own twists along the way. I like this simple and elegant invitation design from amayzndesigns, which uses the Scrabble board as a back drop and Scrabble tiles to spell out the name of the guest of honor. It also gave me a great DIY idea--make several color copies of your Scrabble board, cut them to size and use them for the backdrop of your invitation. 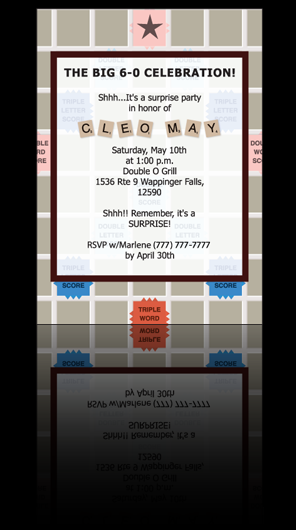 Then, print out your party details on your computer (use velum so you can see the board beneath) and paste the details on top of the board, for a cool "collage" invitation. 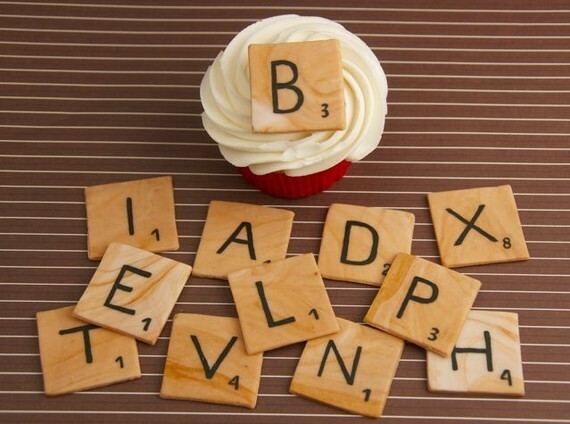 You can do the same with the letters--check out the free printable Scrabble letters here. Wow, here's an idea for any Scrabble nut out there! 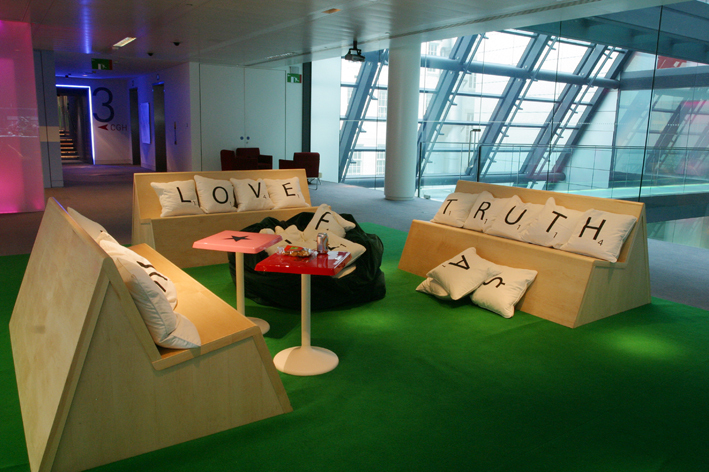 Decorate your living room like this. Isn't it fabulous?!! For those who may not want to be stuck with Scrabble-themed decor long after the party, you could achieve a similar look by draping white sheets over your sofas and by adding Scrabble throw pillows. 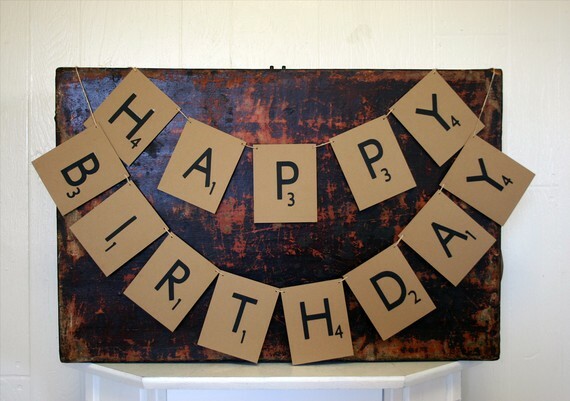 If you're thinking of hosting a Scrabble party for a birthday, check out this Scrabble Happy Birthday banner. 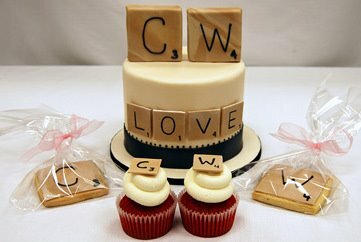 Some people love Scrabble so much, they have Scrabble weddings! Check out this amazing cake from Sweet Things, in Toronto. Here's another fab wedding cake from Pink Cake Box. Of course, if you're not in the market for a full-blown wedding cake, then how about the cupcakes or cookies featured above from Pink Cake Box or the delectably "YUM" cupcakes below from Sweet Things? 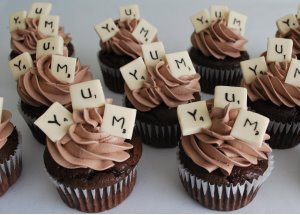 Or you could make your own cupcake toppers with white fondant rolled and cut into squares and a black edible marker--you can buy the edible markers at Karen's Cookies. Use them to write any message matching your theme or event. If you're not the baking-type (or even the fondant-rolling-type), you can buy fondant toppers here. 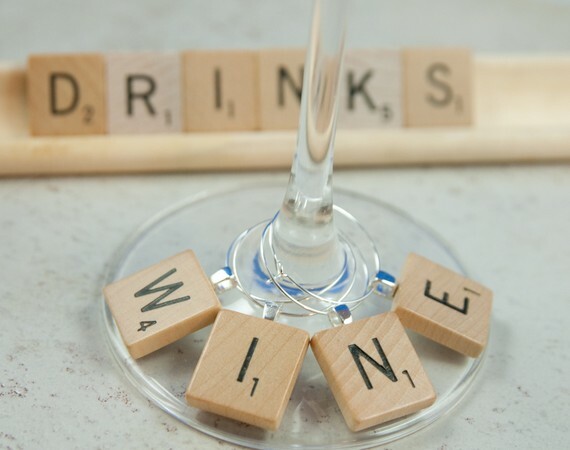 A Scrabble party isn't just about the Scrabble-themed party goodies (although those are wonderful and would make me want to throw a Scrabble party even if I didn't like Scrabble). It is about the very serious business of playing a good Scrabble match. Depending on how much time you have, you can just set up a few boards and have people play a leisurely game with 1-3 other people or set it up tournament style, with play-offs, ending in a final match between the two winners--if you go the tournament route, you might want to set timers for each turn to make sure the tournament ends within a reasonable time frame. If your guests don't have the attention span for a tournament (or even a single, full game), then have them play Speed Scrabble. You can do this, with or without a board, by having everyone make the best word (or as many words as possible) using the same 7 randomly-chosen letter tiles, within an allotted period of time. In any event, make some Scrabble trophies for the winner(s). This is a great DIY project--all you need are some store-bought trophies, some old Scrabble tiles spelling "WINNER" or "CHAMPION" and some hot glue! You can even combine the Scrabble party with another theme--like the one featured in the culinary Scrabble party invitation above. For example, you get bonus points for making food-related words. So now I'm itching to have a Scrabble party. I just need to find some local friends willing to take on the challenge...or I could fly in my Words With Friends friends! JK! 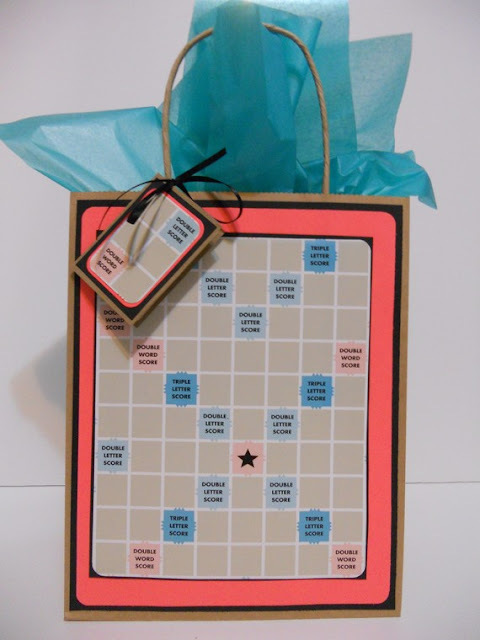 Thanks again for posting my Scrabble Gift Bag on your Blog! I just read the Scrabble section. Very fun idea! Sounds like a night filled with laughter and craziness! lol. Love your Scrabble party idea! (I'm a bit of a scrabbler myself ;) I shared on my games night post http://blog.inspirationbug.com/2012/01/06/party-games-night-throwdown/ Thanks for the inspiration! I am hosting my 4 th annual Scrabble Party next week. I usually have 20-24 friends...was really surprised that so many people were into it. I covered an upright tissue box with brown paper with the letters C A S H around the 4 sides. Everyone puts in $5 toward prizes. I then make cardboard tiles with 4 A's, 4 B's etc for number of tables needed. Everyone draws a tile for random groupings at each table. We have prizes for highest game score and highest word score. In addition, we do random draw until someone gets the Q and the Z. Always so much fun! My friends want me to do it twice a year! wow! 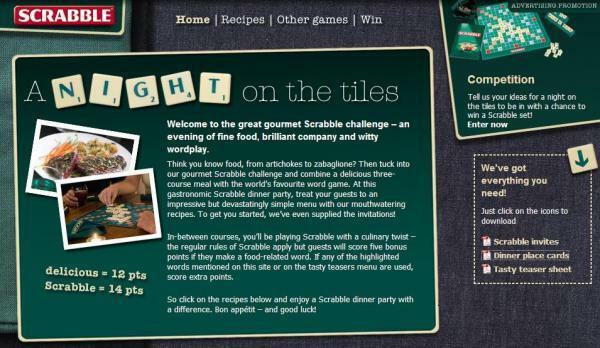 i love your scrabble theme..its very interesting and it really looks very awesome..you really have a great idea and it looks very perfect..i would love to try it, to look more different. You should into joining a scrabble club or join the scrabble tournament scene. Most countries have such, check out where and when on google by typing in the details- scrabble tournaments/clubs and your area. Then you will many others with the same interest who would just love to attend one of your scrabble party events.